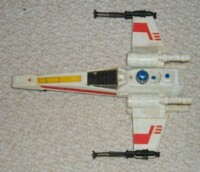 "LUKE SKYWALKER'S X-WING FIGHTER - Destroy the DEATHSTAR! 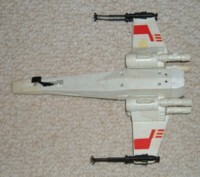 Dramatic reproduction of STAR WARS X-WING rebel spacecraft simulates all the action! 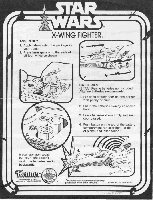 Wings open to "X" position by pushing down on simulated R2-D2 behind cockpit and 2nd button returns wings to original flight position. 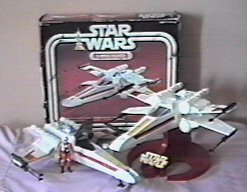 Cockpit flips open to seat LUKE SKYWALKER or other STAR WARS Action Figures. 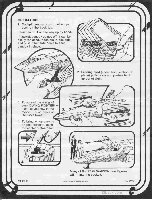 Front landing skid locks up in place during flight, and for real excitement, 3rd rear deck button operates laser sound and flashing laser cannon in spacecraft nose." 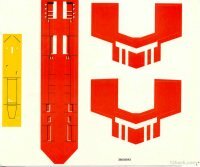 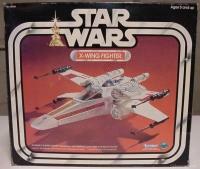 The X-Wing was released in 1978 and was one of the first ships marketed for the Kenner 3 3/4" figure line. 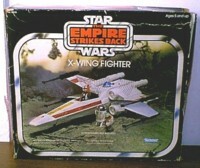 A later release of the ship was the Battle Damaged (BD) X-Wing that debuted in 1982.